Want to know what everyone chatted about online during South by Southwest Interactive in Austin, Texas? 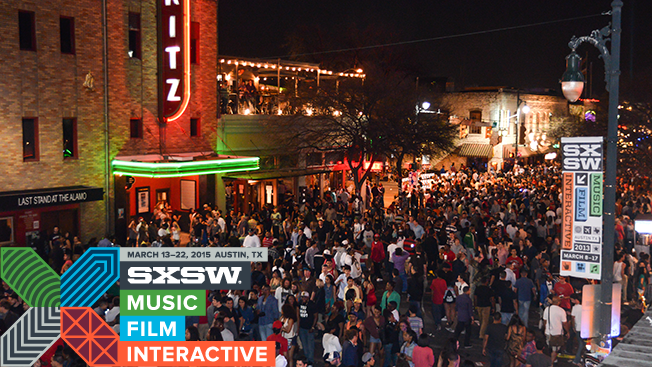 Well, Twitter Inc. shared insights based on the more than 900,000 tweets about SXSW from March 13-17. Obvious hashtags topped the list, including #SXSW2015, #SXSWi, #Austin, #entrepreneur, #marketing, #socialmedia and #startup. However, #videogames and #twitch also made their mark. Although gaming has long been a part of Interactive, the SXSW Gaming Expo was launched in 2013 to provide a three-day focus. The fact that the subject provided two of the most-tweeted hashtags suggests that online platforms like Twitch (which was purchased by Amazon last year) are helping the growth of the industry. A recent study by YouTube indicated that two-thirds of U.S. consumers are playing videos games. Six of YouTube's top 10 channels involve gaming content. Also on Twitter's South by hashtag list is #Finalgirls, which referenced The Final Girls, an independent horror flick starring Malin Akerman, Nina Dobrev and Taissa Farmiga. Premiering during SXSW Film, the movie poked fun at 1970s and '80s horror stereotypes from the scream queen to the cabin in the woods. Early buzz at the SXSW suggests that it could become a cult hit in the same vein as The Evil Dead 2. Below, check out the top 10 most-retweeted SXSW Interactive hashtags. As an aside, it's hard not to love Yahoo Tech editor Jason O. Gilbert's festival-inspired poem, comprised of panel names. YouTube star Tyler Oakley also gets a special nod for being the most retweeted out of the bunch. #SXSW, I am in you.